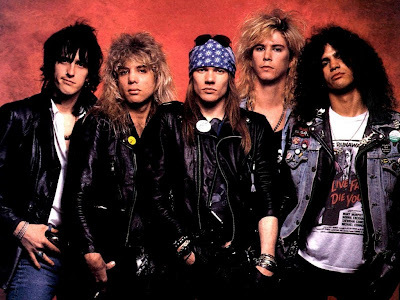 A Guns N’ Roses classic is featured in a new ad campaign by health-care giant Johnson & Johnson. A soft, baby-friendly version of “Sweet Child O’ Mine” is the musical backdrop to the company’s first corporate branding campaign in more than 10 years. Themed “For all your love,” the black and white commercial is full of family images and connections. Johnson & Johnson say their campaign "celebrates the importance of putting the needs of others first and all the ways people care for the ones they love. Love is the most powerful thing on the planet. Love is family. Love is life. Love is in a baby's first smile, in a grandmother's comforting touch and in all the wonderful moments in between."